Hello, Gorgeous! 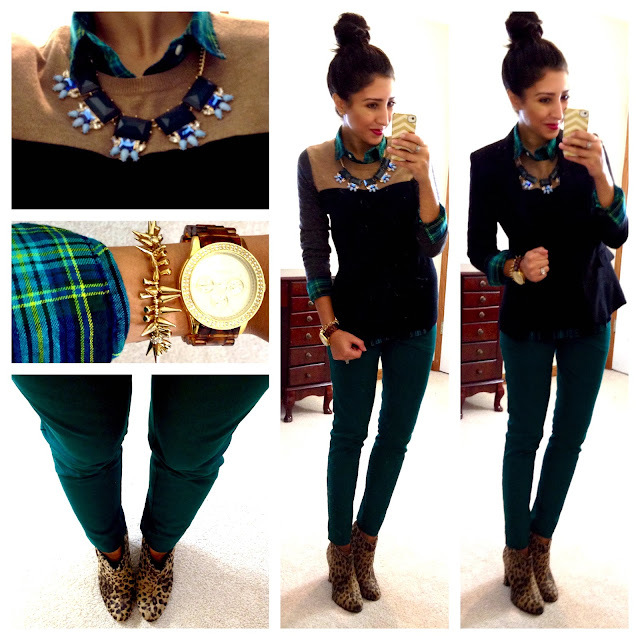 : 5 Tips For Creating a Gorgeous Layered Look. You are.....simply gorgeous...and things you put together are amazing. I wish so much I had your style. What about for those of us that are a bit more then your slender size......any ideas there? your style is always so inspiring! 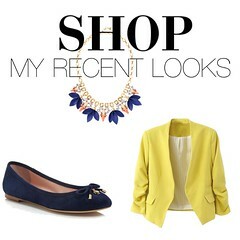 it helps me to then try to put together a more focused look versus everything that i just love at once! =) I appreciate that you try and keep it in a realistic budget too, because thats my price range for clothes right now. Thanks for doing this, I always look forward to yours posts! HI! 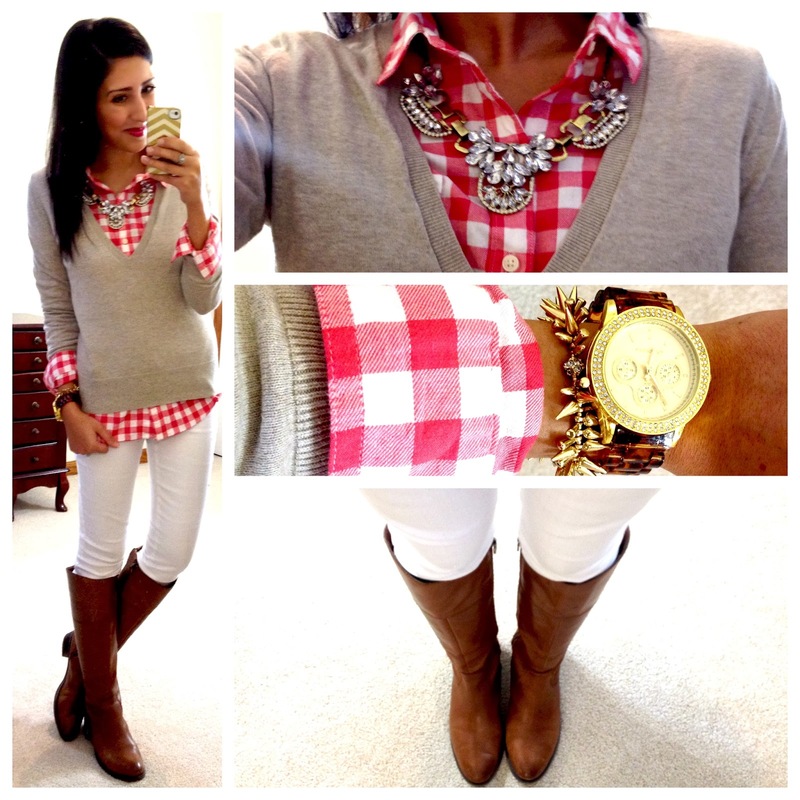 love the layering info! perfect as i sometimes have a hard time not feeling like a huge blob! what sweater are you wearing in the fourth outfit w/ the gray scarf? Fabulous outfits, both stylish and chic. Excellent advice, as always. I need to buy more layer-able pieces, especially cardigans and patterned button-up shirts. Your outfits are always so interesting. You match things I'd never consider and always look so pulled together! Taking Notes!! the last look is so gorgeous. I feel I can never keep the layered look as 'smooth' as it is shown in that photo. There always seems to be a lump here or bunching there. You've inspired me to keep trying! love this one and I love your updo. Will you please show more of your updo? you are just the CUTEST! love what you put together! 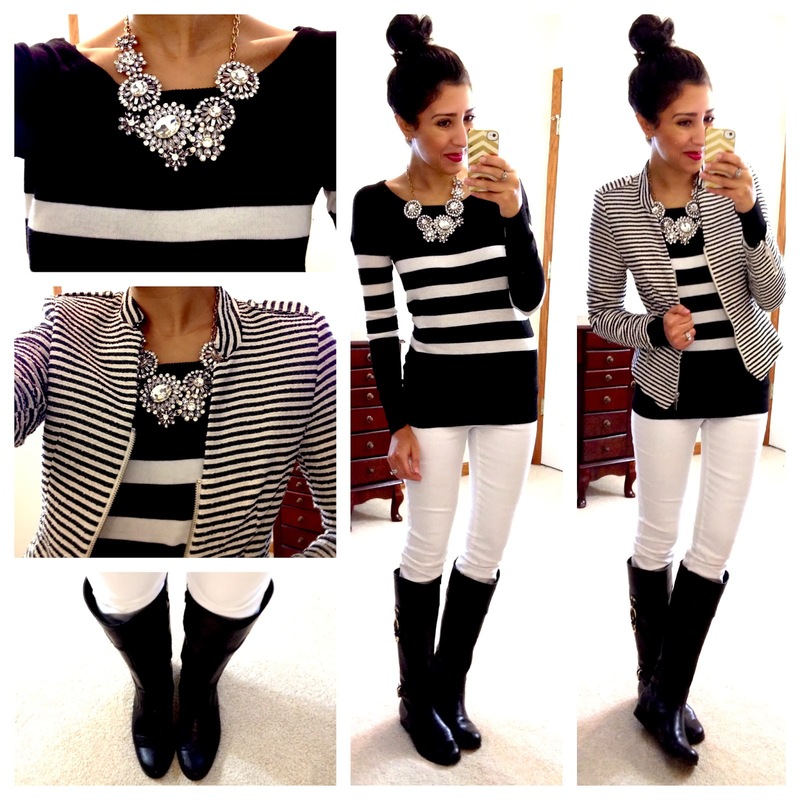 I love the necklace with black & white stripes. Do you know the name of it? I really want one. Love all your outfits! Can you show us how you tied the leopard print scarf you are wearing in the wave to the princess outfit? 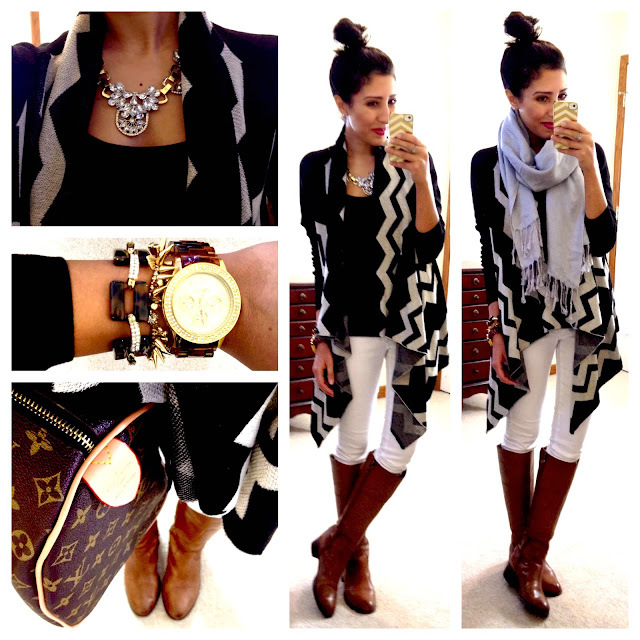 Also, how to tie a non-infinity scarf to look like an infinity scarf. Thanks! I would love to hear more advice about proportions. I'm very short and have a hard time with this; there are some trends I just can't follow because of fit/proportions. I love your layering knowledge so thank you for this post! I am also very short and a pear shape so proportions don't work out too much. I also have a hard time with layering as the button down or T shirt underneath gets bunched up in my front and at my shoulders when I put on a sweater. Since I have short arms, sleeves don't end at my wrist either. So, if you have any tips for short people, it would be greatly appreciated. Just wondering... how tall are you?